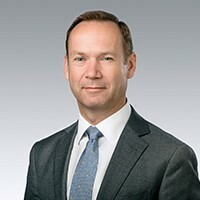 Roch Cheroux is the Chief Executive of the South Australian Water Corporation. Roch has 25 years’ experience in the water industry in design, construction, financing, operating and customer service activities in both line management and executive management positions. Roch has had various senior roles in leading private water companies in Australia, Estonia and France. Roch’s executive experience covers a broad range of activities including company turnaround, culture change programs, customer experience improvement programs, operational excellence programs, initial public offering, mergers and acquisitions. Roch holds a Masters degree in Engineering and Business Management.